I usually make my kids birthday invitations. Usually they aren't anything complex, just an introduction to the theme of the party helping to set the tone for the event. You can see my son's Lego party invites here and my daughter's spa party invites here. Last week, I spent hours upon hours trying to create, print and construct my daughter's 10th birthday party invitations. I'm pretty sure it would have ended up being cheaper if I sent Taylor Swift as a singing telegram to each of the girls home personally inviting them to attend. So here's a breakdown of my week and a few things I learned. The design process in my Silhouette machine went off without a hitch. I had an idea of what I wanted to do and it didn't take me too long to design the invites. My daughter chose the theme "My Favorite Things" and is celebrating with a fancy steak dinner at home with her favorite chocolate fondue dessert. My daughter likes all things girly and fancy, so I wanted the invitations to reflect that. Once I got ready to print off the invites in my new printer, I ran into problems. The printer light turned on, but the printer wasn't working no matter how many times I hit "send to printer". I stopped for the day, and waited for my husband to come home from work and help me figure out the problem. Upon inspection of the problem, he found that the printer was plugged into the electrical outlet (yep, green light on, check), but the printer USB cord wasn't plugged in. It was sitting in a nicely wrapped ball right next to the printer. DOH, I forgot that part! With the solution (or so I thought) under my belt, I put everything away for the evening to enjoy family time and waited to tackle what I thought would be the completion of the project in the morning. After getting the kids off to school, I sat down to tackle my printer. With both cords now firmly plugged into their various outlets I was ready to go. To my surprise, when I sent the document to the printer, the registration marks from the Silhouette machine printed (you need the registration marks so that after it prints on your printer it can find your design and cut them in the Silhouette, it's a two step process) but the page was blank despite being filled with information on the display screen on my computer. Thinking my cut lines were off, I went back to fix the settings in the Silhouette program only to find that everything looked right to me. I hit print again, and again I got a blank document. I know I am a novice on my Silhouette machine, so I went searching for any and all Silhouette tutorials that were floating out in internet land. Turns out there aren't many basic tutorials for moron's like me, so I just kept looking. 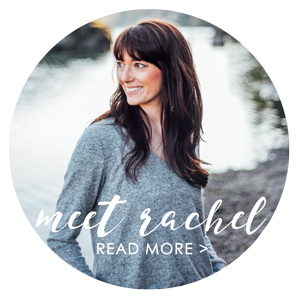 I read through just about every Silhouette tutorial on the Silhouette blog, watched almost every Silhouette tutorial on YouTube, and Googled and looked at nearly every Silhouette tutorial on any and every blog that has ever existed. I wasted about four hours doing this and that is a conservative estimate. 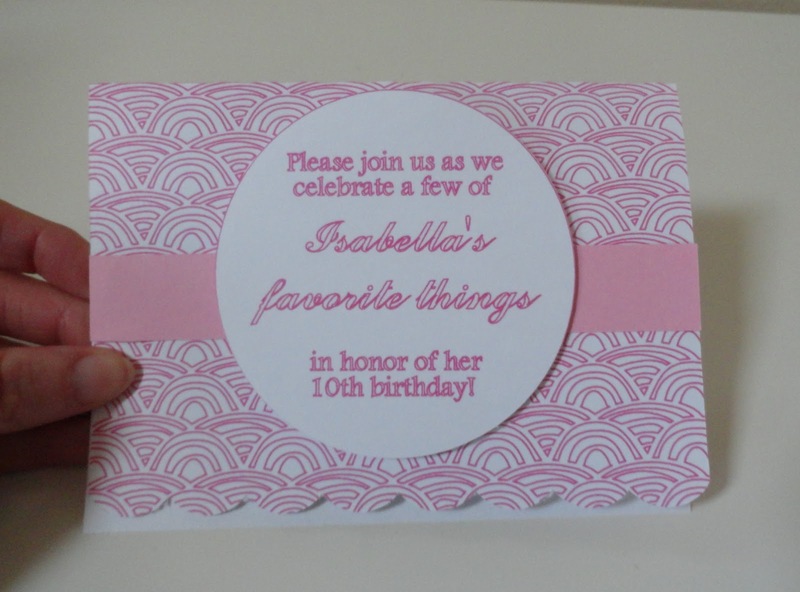 So becoming more and more frustrated, I turned back to redesigning the invitations in the Silhouette software. I thought that maybe if I just started from scratch something would be different and magically work this time. It didn't. It was still printing blank documents...with registration marks...so at least I had that going for me. I started just typing text and printing my test document on my old printer. No luck there either. So then I started troubleshooting with my printer. It was plugged in. Check and double check. We had just installed new ink (man, that thing runs through ink! Good thing I found a deal on generic refills at Amazon!) so I was sure that wasn't the problem. I finally was at a loss of what to do, and the kids were filing in from school. A day wasted. I shot off a quick e-mail to the Silhouette support team, who I must say, was amazing. Turns out Silhouette doesn't automatically know to print text (or lines as they call them) unless you check this little box in a file you would never know to look at. The Silhouette support team were amazingly detailed and replied back in a timely manner with step by step instructions on how to print text. 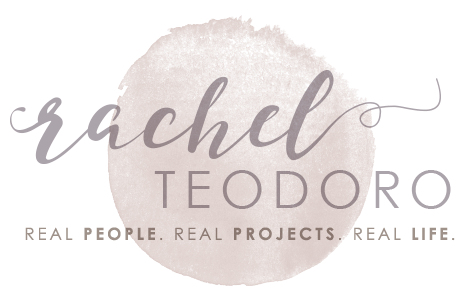 With the solution (or so I thought), just a few clicks away, I wrapped up my work on the invitations for the day ready to start again in the morning. Once again, I got the kids off to school, did my household chores like a good wifey and settled in for what I thought was going to be a quick print and cut with the Silhouette machine. I did after all have my step by step instructions from the Silhouette support team and I was ready to check boxes, print some papers and cut out the details with my Silhouette machine...or so I thought. I plugged in my printer (yep, in both places), opened my Silhouette program and went through the step by step instructions from the Silhouette support team. I did a sigh of relief when I realized that I had it all figured out...or so I thought. The printer revved up and the paper was spit out, but instead of the bold pink script I had chosen, you could only read very faint green text. It was the invitation that I had made, it was printing, but it wasn't printing correctly. I didn't waste anytime contacting the Silhouette Support this time. They immediately responded to my e-mail and asked for me to send along my file so that they could see what the issue was. The support team looked at the file, and sent it back to me within the hour explaining that they thought the problem was with the cut lines (it wasn't), and attached the "adjusted" invitation file in the e-mail reply. Knowing that the adjusted invitation would work since a Silhouette professional examined it and tinkered with it, I went to open the file and with no pride left was going to print that. At this point I was actually ready to head over to Hallmark and pick up nice invitations, but I had hours of work in the project and it seemed like the fix would happen in any given second...I hit the open file button and to my surprise even though the file was labeled "adjusted invitation", the document was blank. but in the meantime e-mail the support team and let them know that the adjusted document was blank. The Silhouette support team e-mailed me back a lengthy reply with 3 different scenarios to fix my problem. Sort of a choose your own adventure book if you will. Try this this and this, and if that doesn't work, move to this this and this, and if that doesn't work, try this this and this. Three step by step solutions spelled out for me and as I slowly made my way down the list, I realized none of them were working for me. I finally got to the end of the e-mail and the only solution left was to re install the printer driver. I e-mailed the support team to let them know I was working on their final solution but didn't see one particular file box that they mentioned and the very quick reply was that I needed to update my Silhouette software. You see, we have a shared PC. My husband has administrator privileges but I don't. One time, he turned off the admin controls and in less than an afternoon I managed to turn our computer into a brick. Turns out, I seem to find and install virus after virus on the computer, so I can't be trusted. I knew I needed a Silhouette software update, but without having admin privileges, I can't install them. I quickly called my husband at work and thankfully I caught him nearing his lunch hour. I told him that I was getting more and more frustrated with the invites and that the Silhouette support team was suggesting that I install the updated software ("of course they are" he replied). Exasperated, I told him that that was the solution to my problem...or so I thought. I gave my husband two solutions, he could come home from work (it's an 8 minute drive) and update the software or give me his admin password so I could do it. Problem solved...or so I thought. With the new software installed, I was finally able to open the adjusted invite file that Silhouette support had, with their own two hands, fixed for me. I hit print and guess what...I had the same problem! 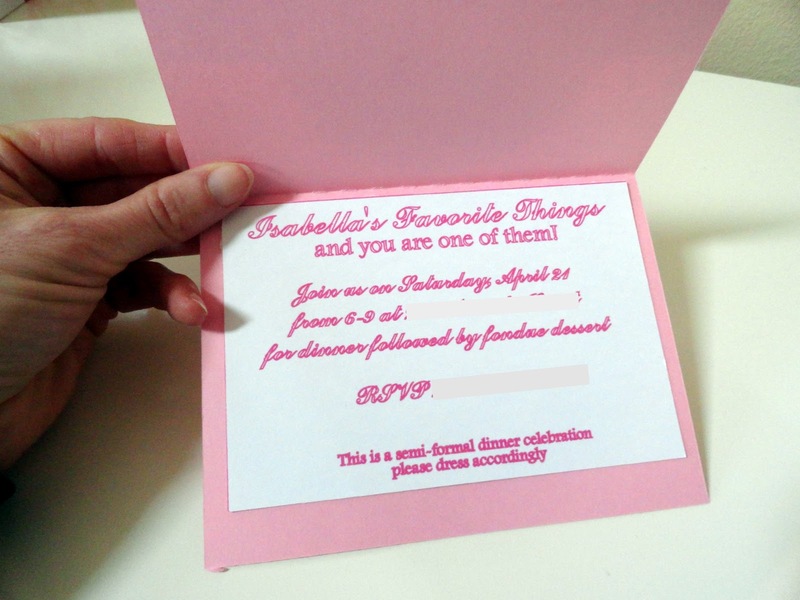 The invitations were printing so lightly that you couldn't even read them. I called my husband at work again, told him I had exhausted every little ounce of anything I knew anything about, and was sure it was now a printer problem, not a Silhouette problem. I e-mailed my gratitude to the Silhouette support team and with the suggestion to re install the printer drive, I waited for my husband to come home from work to do that...again, I couldn't have done it if I wanted to, because I don't have admin privileges. Three hours of tech support from my husband later, and the printer seemed to be printing in readable color. Turns out the generic printer ink I got a good deal on, was a good deal for a reason. So, with another day done, and the problem solved (or so I thought), I went to bed ready to tackle the printing and cutting in the morning. I started the day hopefully optimistic. I opened my Silhouette software, opened the first file to be printed and waited with bated breath as the paper zipped through the printer. Ah, sweet success! The page printed without a hitch! After printing comes the cutting with the Silhouette machine, and as I hit the button to detect the registration marks in the Silhouette machine, the page suddenly shifted and adjusted. The new software that my husband downloaded now thought that I had the Silhouette Cameo machine. The cutting sheet and screen was automatically set to a 12 x 12 carrier sheet...that I don't have. No fear, deep breaths, I knew so much about my Silhouette settings page now that I went back, hit a few buttons and found my way around the carrier sheet settings. Long story short, I finally got all of my invitation pieces printed and most of them cut...don't ask, it wasn't worth it. So let me tally up how much these invitations would have really cost me if I were charging for my time. I made seven invitations so each invitation ended up costing me $115 each to make. After all of the printing test runs, I ran out of pink card stock, so a few of them ended up getting printed on white card stock. Cute and exactly what I was thinking of when I sat down to make them, but totally not worth $115 each to make. So in case you are still reading along with me (which I am going to venture to say most of you are not), the moral of the story is, sometimes making things isn't always as economical as buying them. As my husband is always telling me "your time is worth something". And that my friends, is what I learned last week while making seven birthday invitations. So sad, and yet, so true of many a project. You get involved and it ends up being a matter of conquering the problem rather than finishing the project. At least for me. The invitations are cute and I have run into similar problems with Silhouette. I think when they switched over to Cameo and updated the program certain things no long work as well as they used to. OMG!! Holy Craft!!! Your so cute w/ your story telling skills!!! I would've been too tipsy by this time to type out my story legibly! I commend you for your fortitude!! A sad sad tale - perfectly told! I needed a good laugh, thank you! The invites are lovely. Have a happy Easter! Wow! What a sad story. It's so frustrating to fight technology. For me it's usually my printer that won't do what I want it to. Mine will NOT load photo paper properly. Ever. 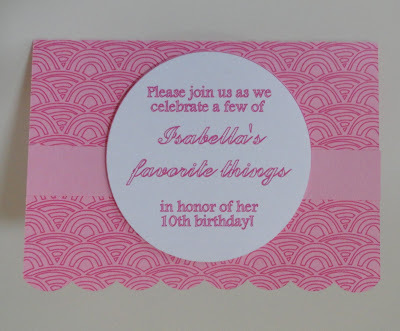 The invitations turned out adorable, however and I loved the way you used the Wave Background shape. I love the invites!! Enjoy the party! I have had a number of the same experiences, although not all at once. :-) On Sunday a gave my son a small Father's Day Gift. It was a cut bag with a cut out of a father with two children, a boy and a girl. Because I have some experience with bag making and cutting etc. It only took about 3 hours. I said to the family why spend a feww dollars and about 39 minutes round trip when you can spend 3 hours and make one yourself. The bag design needs more work, but I am hoping to perfect it so that I can just pop a different cut design in the basic bag and have an intant gift/wrapping. Or I could print and cut a design on the front and make a personalized tag to go with it.